Reading and share top 2 Jaye Frances famous quotes and sayings. 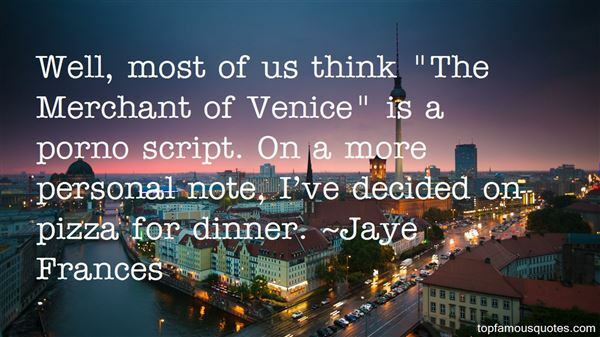 Browse top 2 most favorite famous quotes and sayings by Jaye Frances. I owe it all to chocolate and young men."